Get it for FREE on Amazon! First of all--the plot had me pretty much from the beginning. Sounds fascinating, right? 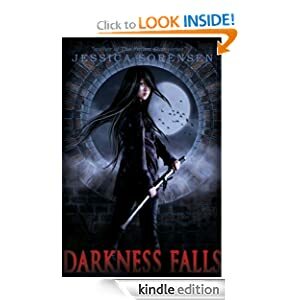 An awesome mixture of dystopian and paranormal? Count me in! I know a lot of readers are complaining in reviews about the amount of romance in YA fiction, but personally, I love it. I'm delighted with all the romance. In fact, I've been known to skim comments just to see people's comments about the romance in a novel. One comment I read on a book (not this one) complained that the amount of romance in the book turned them off. I immediately bought the book. LOL! So, for those of you who like just a little romance, this book is a good choice. There's just enough to get you interested, but not enough that it dominates the plot. Or even the sub-plot. It does seem to factor into the twist near the end, though, which was a fun change. Kayla is a strong character who's an awesome warrior. She's brave (who else would run into a cave just to search for vampires? ), smart (she figures out something's up with her parental-figure, and that she's being lied to pretty quickly), and self-sufficient ("Sure, I can survive on dirty rain water. Who can't?" -- not an actual quote). And she is willing to ask all the questions you know you'd want to ask if you were in the same situation. 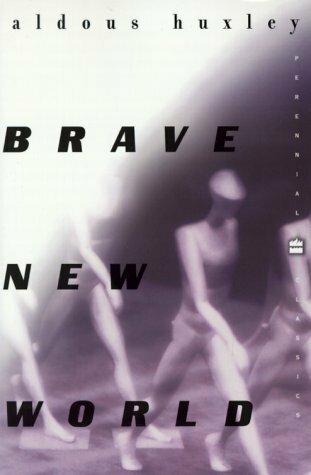 The book starts in a dystopian-like city, where citizens are kept in an enclosed fortress by the Highers--those in charge of the city. It quickly progresses, though, to the outside of the city, where it really picks up. Kayla and two others who were "killed" inside the city are tossed outside, and the mysteries just keep coming. First there's the little girl who was dumped with Kayla and another guy Bernard who can seemingly predict the future. Then there's a mystery boy (Aiden--OH how I love love love that name), who seems to know Kayla a little too well even though she has no memory of him. There's the fact that vampires are actually afraid of Kayla and run away from her instead of the other way around. And then there's an idea tossed around that Kayla may be the beginning of a Higher herself. When the three were dumped out into the desert, they were given three syringes and told if they took the medicine inside, it would "save" them. Well Kayla finds out what happens when they take the medicine--and let's just say it's miiiiigggghhhhhtttttttyyyyyyy appealing. The plot twist that happened there really caught me by surprise. The best plot twist, and I'm going to give it away here because it's given away pretty quickly in the book via clues, was that the vampires were actually created by a doctor. Possibly a doctor attempting to recreate the "beautiful, elegant, gothic, super-humanly-fast with super-healing-abilities," vampires from lore. You know--the way we pretty much think of them. Unfortunately, something went wrong, and the vampires they ended up with had decaying flesh covered in sores and bled tears of blood when they got hungry. I've seen a lot of complaints in reviews about the "show, don't tell," writing style, and I will say a lot of this book is very "tell"-focused. At first it was a little hard for me to get into, but I actually found it worked, and after a while barely noticed it. It didn't detract from the story for me, anyway. The plot was that good. I've been toying with the idea of picking up the second book just for the plot twist with the romance, but I might wait for the third one and buy them both together. The first one definitely had a cliff-hanger ending, but not so cliff-hanger-y that I didn't feel satisfied. It's definitely worth the read--I finished it in just a couple of hours before bed last night. I would recommend it. And even if you don't like a love-triangle, or the "show-don't-tell" style of writing, the book is free and the plot is great. Give it a shot! 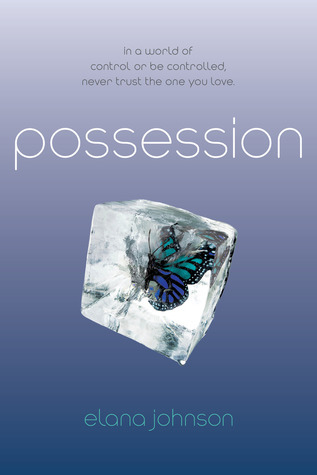 I previously reviewed Possession (#1) - Elana Johnson with gushy-gushiness. So I was looking forward to the same wonderful writing, characters, and excitement as the first book. I was also hoping to find out what happened with Vi and Jag, but not looking forward to trying to choose between Jag and Zenn. Well, the good news is--Elana didn't disappoint. (Of course!) The same captivating writing was as-present in book two as book one. Book two introduces some new characters and re-introduces some old ones, and goes into more elaboration about the world Ms. Johnson created. It's an amazing world, and she describes it flawlessly; so realistically you feel like you're in it. The way she builds suspense just turns the author in me green with jealousy, and the reader in me frantic to keep going. Incredible. I know the book is about Raine and Gunner, but for me, maybe because of the attachment I formed to them in book one, it was all about Zenn-Vi-Jag and their ever-present love triangle. I felt every ounce of love Zenn felt for his dear Vi, so much so it made my heart ache and I hated myself for wanting Vi to pick Jag. I felt Jag's cavalier strength, full of admiration for him. I felt Vi's confusion and overwhelming emotions like they were my own. And they were side characters. But when they were on the page, electricity just seemed to fly. When they were all reunited, I almost felt my Kindle buzzing in my hands. The emotions built up between them was absolutely tangible. Starting with book one and solidified by book two, I've decided Jag is the perfect hero, and Vi is the perfect heroine. It seems like a lot of the books I read who have reviews citing the girl as being "strong," are really just, well, you know the word. Not someone I'd want to have over to hang out. But Vi? I wanted to hang out with Vi. I wanted to be friends with Vi. I wanted to know her and see what made her tick. She was strong, resilient, and just fun. And Jag... well... who doesn't want a romantic mischief at their side? Ugh, I can't wait the next three? Four? months until the last book. I hope it centers back on Vi. I bet it will center around all four of the mains--Vi, Raine, Jag, and Gunn. And the last page of the book? Talk about cliffhanger! Argh!!! In summation: Read it. Definitely read it. My one wince-inducing complaint about book one was about Vi's daddy. He used to break the rules and hug her and in her memories seemed like such a wonderful, devoted father, but turned out to be super-incredibly-evil. My favorite moment in book two that didn't center around Zenn-Vi-Jag was the big revelation about him. That her father has been on their side all along. He really was trying to save them. He really is working to help the resistance and overthrow the government. I was so happy, I was sighing. In book one you're really led to think he's a great guy, even when he's doing horribly evil things, so to find out in book two that he really is a great guy just felt... fulfilling. Maybe because I'm a daddy's girl, but I always want father's to be ridiculously devoted to their kids. It felt like things came full circle when her dad revealed the truth. I just hope that in book three, Vi gets to find out. Crimeny, Batman! Can we talk about Vi and Jag's reunion? Oh. My. Gosh. It was brief (only a few paragraphs long), but so insanely beautiful. Beautiful-beautiful-beautiful. I didn't want the moment to end. I re-read it half a dozen times. I smiled. I went, "Aww," out loud. I melted. And as their scenes continued, the chemistry they had created in book one just picked right back up again, sucking me into the pages. I can't wait to read more about them in book three. If they're not in book three I might die. As I mentioned in my previous post, I have fallen in love with Elana Johnson. She wrote some amazing blog posts that I have kept open in my browser window for days, afraid to close my browser because I was worried I wouldn't be able to find them again. Well, now I'm going to post them! It's a series post, called Writing a Trilogy. She goes through each book of a trilogy and breaks down the formula for the overall series, each book, and each character/story progression. It's a really fascinating read, especially if you're working on (or are planning on working on!) a trilogy. I've just been reading up a storm the last few days, haven't I? It's because I have ten (ten!) glorious days free from work, all in a row, which I haven't had since the day I started my very first job almost ten years ago. It's a beautiful thing. I've napped every day this week. A couple of times, I've napped twice in one day. In-between my naps, I wrote. And then I read. I dusted off the books I got for Christmas over two years ago, curled up under my comforter, and read. It's been amazing, losing myself in a book. I almost forgot what a great thing it was. I should write about that sometime--why I stopped reading. Rating: 5/5. 10/10. Perfection in book form. First of all, this book isn't really about what you think it's about based on the summary. It kind of is, but I'm pretty sure whoever wrote the summary only skimmed the novel. Which is a damn, damn shame, because this novel is perfect. Think of your favorite strong, sassy, slightly-wild, good-girl (YAY!) heroine. Then pair her with a rebel-WITH-a-cause-deliciously-gorgeous-guy. Now add another super-sweet-and-devoted-but-being-mind-controlled-guy-fighting-said-mind-control-for-heroine-guy just for good measure. Add an intriguing plot with twists and turns that the smart heroes/heroine figure out before you're groaning that the characters are stupid. Now add some amazing writing with a flavor that literally makes you feel like you're experiencing the book all around you. Congratulations, you've just imagined what it's like to read Possession. There were times I laughed out loud. There were times I was angry at the characters for being brats, or stupid. There were times I had to skim paragraphs of description just because I couldn't wait to find out what was going to happen. And then at the very end, I cried. I cried so hard I gave myself a headache. Not because the book is bad. And not just because I found the ending heartbreakingly beautiful and tragic. But because the book was OVER. I cried because THERE WERE NO MORE PAGES LEFT. Side note: I should tell you, I immediately jumped online, still crying, and discovered there is one more book out there, with one more coming in April. I usually like to buy book-books of the books I love, but I am so desperate to read book two RIGHT NOW that I bought it on the Kindle. I also downloaded the filler e-books for the series. Well, .5 anyway. I couldn't get 1.5 to work. So, you may be wondering why I am sitting here at the computer, writing about the book instead of rushing off to book two. 2. Book one was such an emotional roller coaster for me that I'm still trying to get rid of the headache (I took three Advil! ), and I'm not sure I'm emotionally ready to pick up the second one yet. I'm actually not kidding. I mean that with complete seriousness. The triangle of which boy to choose--Zenn or Jag--just about destroyed me. Usually I'm like, "Yay boy one!" or, "Yay boy two!" but in this one, I was just torn. The author said she intended for Possession to be a stand-alone book, and never meant to continue it. (I assume wild popularity is what drove her to it.) And it's true. Possession as a stand-alone would have been poignantly tragic. (Am I giving too much away here?) But it would have been perfect. The ending would have been just right. The first ~50 pages of the book are Jag and Vi trapped in a cell together. Take a moment. Re-read that sentence. "The first ~50 pages of the book are Jag and Vi trapped in a cell together." There. I copied it for you. How. The HELL. Do you manage to make the first 50 pages of a book about two characters trapped in a cell together interesting? Ms. Johnson, I bow to your awesomeness. I can't even make two pages about traveling interesting, and you managed to make 50 pages of two characters trapped in a room together page-turners. Yeah. They're page-turners. The whole book is a page-turner. Apparently I lost four hours to my life to this book. And I'm about to lose four more to the second one, because my head is finally calming down. Final thoughts? Read this book. Right now. Stop reading this blog, and go buy the book. You're welcome. I spent six hours writing two paragraphs today. And ended up deleting them. Since that almost never happens to me, I thought maybe my literary battery was fried from all the writing I've been doing lately, and I should recharge. First I took a nap. When that didn't help with writing, I did some online shop-browsing. When that didn't work, I threw in the towel and decided to read. Reading other people's writing always inspires me to do my own thing. The writing is archaic and uses words that had me at dictionary.com more than once, so it took me a couple of pages to adapt. (I like this style of writing, though, so for me it was a good thing.) Once I was in a couple of pages, I was so enthralled, and horrified, by what I was reading I couldn't stop. I could only read. And I just now looked at the clock and realized that four hours of my life have disappeared just like that. To quickly summarize, there's a main character who I would never call a hero, Bernard Marx. He's a simpering, pathetic sort of man, who at once hates society and secretly longs to be part of it. He is of the upper-upper crest of society, an Alpha-Plus, but his body type is that of the Epsilon-Minus, the lowest caste in society. There's a high-mid-rank woman he's got a thing for, Lenina, who oddly, is infected with lupus, which seems to make her more attractive to everyone. And then he's got a friend, Helmholtz Watson, another Alpha-Plus who is physically superior to the other Alpha-Pluses, simultaneously making him one of them and yet not part of them, just like Bernard. In this society, happiness and pleasure is the norm. Society exists as part of a whole--no individualism--and "families" are a vulgar word. Embryos are fertilized in tubes, and even in their small little embryonic states, are conditioned to be prepared for their destiny--whatever it may be. (Just as an example, one set of embryos were being prepared to work on fuel jets. The embryos were hung upside down, and when turned right side up, were blasted with pain. In the end, according to the Centre director, they would only be happy when they were on their heads.) Babies reaching for flowers and books are electrocuted. Children are taken to death wards to watch people die to desensitize them from death. And "everyone belongs to everyone," is a common chant as people take multiple partners whenever they desire and the sanctity of marriage is tossed out the window as a dirty word. There's also soma, a drug that induces a hypnotic, euphoric-like state, that keeps the people blissfully blitzed when they're not working. So, Bernard takes Lenina on a date to an Indian reservation in New Mexico, where they meet a woman who had been part of their civilization in London until she fell down a ravine and was abandoned by her civilized partner. She's taken in by the Indians, and to her surprise, had a son. Bernard takes her and the son back to London with him and Lena, and thus begins the character growth/change, and the "great revelation" of the book. One of the things I didn't like were the constant character shifts. In the beginning of the book, Bernard was a weak, spineless, but pitiable character. As the book progresses, the hopeful future I'd imagined for Bernard was quickly thrown out the window, his character regressing to deplorable and downright disgusting. Lenina at first appeared smart for her caste, and I had hope for her as well, but she went through a period of airheadedness that while making sense, didn't fit with the initial impression I had of her. (If you've read The Uglies, The Pretties, or The Specials by Scott Westerfield, you will know exactly the type of airhead I'm referring to. Actually, after reading this, I'm 100% positive this was the basis of Mr. Westerfield's novels.) The Savage, the son of the woman who was taken in by the Indians, took morality to an odd extreme, and coming from me, I think that says A LOT. It actually felt like the author didn't quite know how to write a highly moral character. It felt forced and out of place. Maybe I just didn't understand it, but it didn't ring very true for me. The best character was, oddly, the one you would think of as the antagonist. The Controller. He rules over Europe, and makes all the rules for their happy little society of drones. It's in the conversations with him that I feel you get the most poignant lessons in the novel. Particularly fascinating was one comment he made about happiness being harder to care for than unrest. And it's during a conversation with the Controller and the Savage that I found myself hating myself just a little bit. Because even though I sometimes cry thinking about our world spiraling into one of these horrible, government-run dystopian societies, I couldn't help but agree with every point the Controller made for it. My moral compass screamed, "No! ", my logical side said, "He has a point." Ah, the slippery slope to dystopian societies. So you may be wondering why I would recommend this book. And why so highly. The characters weren't ones you could relate to, they were at best annoying and at worst abhorrent, and the book made me hate myself just a little bit. For one, there's the writing. It's beautiful; a masterpiece. I tend to skim long descriptions, but I found myself reading every word in this book. For two, there's the concept. Surely the basis of more dystopians than I know, I immediately recognized The Uglies series plot. And for three, because it's profound. Because it sends chills up and down your spine thinking about how easily we could fall into the pleasure-trap. Because it has logic behind its a-moral teachings. It's not 1984 by George Orwell, which was a beautifully crafted, poignant masterpiece of its own. We tend to think of dystopians set up by being ruled with an iron fist; of living in fear, but this is not that type of rule. No; if society allows the government to take over, they will do it because of the same reasons as in a Brave New World--because the rulers promised, and delivered, pleasure. They took away all the bad things and let the people live a nice, peaceful, happy life. The kind of prison we all secretly want and are terrified of having. Read it. Definitely read it. Then warn your friends, family, and children to never fall into its trap. I like books for free on Kindle. In fact, I have so many of them queued up it takes me almost a minute to scroll through them all. I got to the point where I made it a little game, scrolling through all of the titles and then opening whichever one popped up. Luckily for me, this is the one that popped up today. From the first page of The Changeling (Angel Diaries), I was hooked. 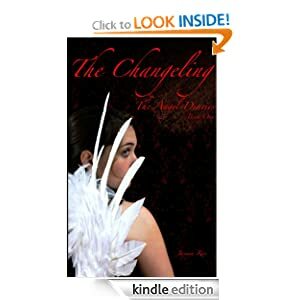 The book follows a guardian angel known as Jezebel on a mission to save a boy's soul. The twist? The boy's soul is slowly being devoured by some horrible parasite demon that scares everyone who hears about it half-to-death. The descriptions are just enough to give you an idea about the scene, but not so much you can't fill in the blanks with your own imagination. For a free book, it was remarkably well-edited and spell-checked, and I found myself desperately flipping pages to get to the end, even sending my husband to the kitchen for "one more item" so I could read one more page. Jasmyn Rae, cheers to you for the creation of interesting characters and a spellbinding plot! Writing relationships between characters is hard. In today's day and age, it's easy to want to jump straight into the: "You're gorgeous and mysterious--now I love you!" mentality. I'm not going to knock it, because I'm a fan of that myself. But sometimes you want your characters to have some depth. You want their relationship to grow organically (I hate that word, btw), so it's so fluid and natural you can't pinpoint the exact moment when it changed. For excellent examples of this, watch a soap opera. Or Vampire Diaries on the CW. Kevin Williamson is a genius. Plain and simple. I mean, honestly. Did you ever think Damon could go from snapping Jeremy's neck and Elena despising him to the end of season three when she admitted to Stefan she had feelings for Damon? Or that Klaus could go from being THE MOST HORRIBLE PERSON EVER to people shipping him and Caroline? Can you think back and find the moment their relationships took a turning point? Can you pinpoint that exact moment in time when everything between them changed? Or was it just a series of events over a course of time that changed everything? I've been thinking about that a lot lately. I have a friend at work, a good friend, who wasn't really a friend at all when we met. In fact, I'm pretty sure this coworker didn't like me, and I wasn't too fond of the coworker either. Not that my coworker was a bad person--the coworker just kind of rubbed me the wrong way. (Note my obvious exclusion of pronouns?) Let's call this person Charlie. It's a unisex now, right? So, anyway. Charlie and I were polite to one another in the beginning, but we probably didn't talk for more than an hour directly to one another in the first few months after I started the job. And now, a little over a year later, I found myself whining at work that I missed Charlie, who's currently out of the office. It surprised me, really, and I found myself thinking about how this great evolution happened. As I said, it's been over a year. And because I was so intrigued by this, I started putting the pieces together step-by-step, in chronological order, trying to figure out when and where we had gone from polite, to friendly, to friends, to close friends. Turns out, it's not possible. Got stuck in a situation where we had to interact every day on a polite level. Started joking together and becoming more friendly. Was removed from the situation where we had to interact every day, and fell back into a cross between politeness and friendliness. Got stuck in a new situation where we had to interact less than every day, but a forced interaction nonetheless. I started having problems with a coworker, and during random talks voiced frustrations about the coworker. Started understanding where Charlie was coming from because of all the times Charlie had complained, and was therefore able to act as a support with others. And thus, despite Charlie and I being completely different people with completely different ethics and vehement opinions on things like politics and religion, we somehow ended up becoming friends. But it happened slowly, and over a long period of time. Analyzing my friendship with Charlie made me realize why I can't find a moment when Damon and Elena's relationship changed. When Klaus and Caroline's relationship changed. There is no defining moment. There are a series of circumstances that tie people together if the timing is right. And it made me realize how relationships need to grow in my stories as well. How an endless series of dominoes need to fall and align just right for people to connect. It makes me think more about the circumstances surrounding them, and now I find it takes me twice as long to write something because I'm trying to see it from every side of the canvas, wondering if each character is acting the way they want to, or the way I want them do. If they're building their relationship in a meaningful way, or if they're just together because I've thrown them together. And, hopefully, it will serve me well.